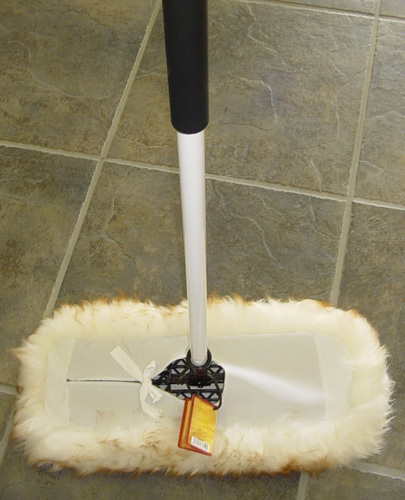 The Lambswool Dust mop is great for large spaces. The 22" width and unique design allows for maximum coverage in big areas. It comes equipped with a sturdy padded, metal handle. The Original Wool Shop Duster is magic in your hands, and is a quick and efficient method of removing dust! Whether you are doing daily cleaning, preparing for company, or scurrying when last minute friends drop by, the Original Wool Shop Duster will make your dusting an easier task. Its unique ability to attract and hold dust has made it America’s favorite duster.